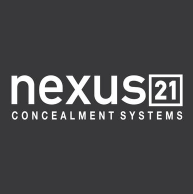 We are proud to be now Partnered with Nexus 21 Concealment Systems. These guys have really raised the bar in motorized lift mechanisms. When we started in the business almost 20 years ago lift mechanisms were extremely expensive, very loud, custom built to order only and outright unreliable. Until recently not much has changed with the companies that produced these units. Our choice of lifts was limited to these companies who did little to nothing to advance their product lines. Nexus 21 has changed the game by providing lift mechanisms that are ultra reliable, super quiet, normally shipped in 3-4 days and best of all….affordable. This pricing broadens the scope of use from just tv displays to storage space to appliance access and more. Check out the video below for some great ideas in using Nexus 21 for much more than just hidden tvs!